With all of the high-quality equipment we use to sand a wood floor properly, the abrasives are the only component of the entire process that comes into direct contact with the wood. The type and grit of abrasives used on the job are an important consideration for determining how the final results of the job turn out, and it is important to recognize that each job will likely have different abrasive requirements. For starters, storage conditions (temperature and humidity) can affect the performance of the sandpaper. Maintain “normal” conditions where abrasives are stored (60-80° F and 30-50 percent RH). Abrasives should be stored in original packaging and stored away from potential sources of moisture. Do not store abrasives directly on concrete floors due to the possibility of picking up moisture. Sandpaper is made up of three general components: the backing, the adhesive bond, and the abrasive mineral (or grain). The backing is the base for the abrasive minerals to be bonded to. In the wood flooring industry, backings are typically made up of paper, cloth, or screen mesh. The type of backing used dictates the intended usage of the abrasive. Lightweight A, B, and C weight papers are used for hand sheets and orbital discs. Mid-weight E and F weight papers are used for edger discs. Heavyweight X and Y weight cotton and polyester cloth are used for belts. Polyester mesh is used for screens. The adhesive bond is the binding agent used to adhere the minerals to the backing. These adhesives are designed to withstand the high temperatures and pressure produced in the sanding process. Phenolic resins are typically used for floor sanding applications. Aluminum Oxide: A blocky shaped grain with sharp edges. Aluminum oxide is a macro-fracturing grain and very friable. It is ideal for low-pressure applications such as intercoat abrading and orbital sanding. It is sometimes blended with ceramic and zirconia grains in belts and edger discs. Silicon Carbide: A pointy, very sharp grain that leaves a fine scratch. 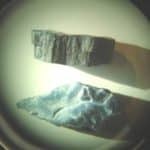 Silicon carbide is a macro-fracturing grain and very friable. It is typically used for sanding softwoods, some hardwoods, and removal of gummy coatings. Since it is so friable, it dulls quickly and has a short life. Ceramic Alumina: There are different types of ceramic grains for different applications. They can be long and pointy or very symmetrical in shape. They are extremely sharp. Ceramic grains are macro-fracturing grains and not very friable. They fracture into thousands of tiny particles during use making them the longest lasting and fastest cutting abrasives. They are ideal for sanding exotic hardwoods and tough coatings removal including UV cured AO finishes. Zirconia Alumina: A long, sharp spindly shaped grain. 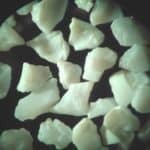 Zirconia alumina is a macro-fracturing grain and not very friable. It is used where long life and heavy stock removal is desired. It is ideal for most softwoods and hardwoods. There is no one-size-fits-all grit sequence that is right for every job. That’s because there are a wide variety of circumstances that may dictate the abrasive choice and the grit sequence. The abrasive grade (or grit) provides information about the size of the mineral used on the paper. The grit number directly corresponds with the number and size of minerals per inch. The larger the number, the smaller the mineral. The grit chosen for the initial sanding will be determined by several conditions including existing coatings, the degree of unevenness, species, and overall condition of the flooring. The grit used on this first sanding step should be the finest grit possible to achieve everything previously mentioned, while minimizing the scratches being placed into the flooring surface. 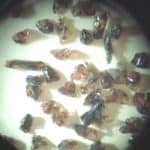 In most cases, you should never skip more than one grit abrasive when progressing upward in sequence. 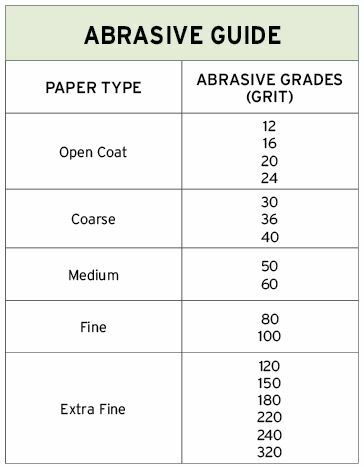 Here is a chart showing paper type and abrasive grades. Start with the finest grit paper that will remove existing coatings and flatten the floor. Do not skip more than one grit. It is also recommended to not skip any grits in the sanding sequence when you get to the extra fine abrasive selections, or with extremely dense floors such as end-grain, strand-woven products, or some imported species. The initial sanding of the wood floor should be with the finest grit abrasive possible to flatten the floor and/or remove existing coatings. 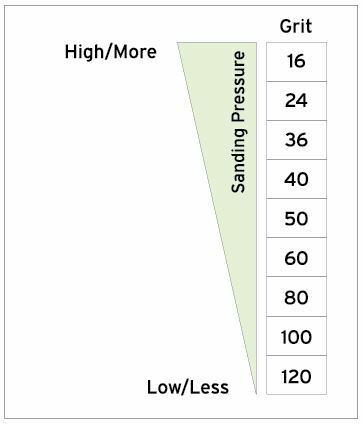 Big machine drum pressure settings should coincide with the abrasive choice. Finer grits require less pressure settings on the big machine; coarser grits require heavier pressure settings. Load the sanding machine with the proper sequence of sandpaper. Skip no more than one grit from the abrasive used in the first cut. The second cut abrasive removes the deep scratches created by the first cut. Skip no more than one grit from the abrasive used in the second cut. The third cut removes the scratches created by the second cut, leaving shallower scratches that should result in a surface that appears smooth. The final sanding sequence must be fine-grit paper or higher. When the final sanding sequence with the belt/drum sander ends at a medium grit, use of multi-head/planetary sanders must be used to follow the abrasive grit sequence to fine or extra-fine grits to achieve the desired end result. Do not skip any grits when employing this final sanding process. It is also important to use the same grit in the final sanding process with all of the tools (edger, big machine, orbital), and then blend with a buffer or multi-head sander. The first three graphics represent what happens with proper grit sequence. Each subsequent cut with a finer grit of abrasive removes the scratch marks left by the previous cut. Therefore, a properly applied coat of finish will appear and perform properly. The fourth graphic represents what may happen with improper grit sequence ultimately affecting how a coat of finish will appear and perform. Follow NWFA suggestions for grit sequence with specific species. 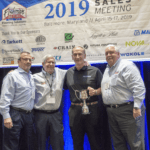 There are many abrasive choices on the market today, and not all are designed to do the exact same thing. A perfectly installed wood floor can be ruined by a poor sand job. A perfectly applied coat of finish can be ruined by a poor abrasive selection or by an inadequate sanding sequence. 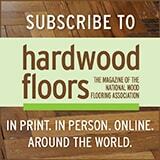 All floors require something a little different; listen to what the floor says, and choose the proper abrasive for it. Gregory Mihaich is Application Engineer, DIY/Professional Floor Sanding Markets for Norton Abrasives. He can be reached at 518.266.2212 or greg.c.mihaich@saint-gobain.com. Great Article, Explains a lot about Grits. “Do not skip more than one grit.” – That should be a golden rule in flooring. Very good article, simple and straight forward.